Although not yet fully adopted by the mainstream world yet, QR (or quick response) codes have seen a dramatic rise in usage and very well may be the new way that companies decide to give customers information on products. For those uninitiated, QR codes are those big squares you may have seen in the bottom corners of movie posters, under your drink on a coaster at your favorite restaurant or possibly next to various products at your local supermarket. With any smartphone armed with a QR code scanner (which are a free download on any app store). In the future, an advertisement may not be just a message and a picture, but an interactive environment with unlimited possibilities. What you can do with these handy bar codes may surprise you. Probably the most common way to use a QR code, using it as a link to your company’s website or blog is one method, but think harder; what about a specially tailored site or campaign customized to the demographic of people that is likely to scan your code? Be creative with your site (and maybe poach a few other ideas from this blog) to make something truly unique that will give your target market a memorable experience. The simplest of tasks you could ask of a QR code may seem like the type of command you may want to skip over, but it could have a few uses if you think creatively. Perhaps hiding your code with a special password on it that when given provides a special deal at your establishment. Do you have a weekly special or special event coming up? 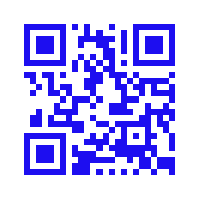 Why not create a QR code that will automatically set up a reminder in your clients calender on their phone? Having a networking event or party? A QR code would be a simple way to have guests register or sign in to an event. Do you want to grab everybodies contact info to send thank-you cards or a newsletter? Reconsider the whole “business-card-in-a-fish-bowl” raffle contest with a digital QR code version that can easily be imported right into your company’s mailing list. Give customers a great way to let their friends know where they are, possibly with daily specials or a password for special deals or promotions. Create a fun E-card that guests and clients can share with their friends. Is your customer lost? Help them out by pinning your address into their phone’s GPS with a QR code. From there, give them directions to your other locations, affiliates, or just the quickest route home. establishment or to show proof that they went to a secondary location. Use an easy-to-find QR code to grant WiFi access to mobile users in a quick, interactive way that can makes remembering clunky passwords a thing of the past. What are some creative ways you can (or have) thought of to use QR codes in the ways mentioned above? We would love to see some examples. Creating Relationships With Your Customers On The Mobile Web. What Is NFC? NFC And The New Google Wallet.